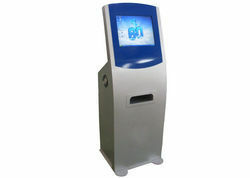 The extra ordinary service offered by us for the Bill Payment Kiosk Machine Fabrication, has been termed as the best available in the market, because of the professional approach with which it is offered. Available in fully customized form, our service for Fabrication Of Bill Payment Machine, has been termed as he best available option for companies dealing in service sector. We are listed among the trusted names in the Indian engineering industry when it comes to credible Vodafone Self Service Kiosk Fabrication. The Fabrication of Vodafone Self Service Kiosk Service offered by us has been termed as the best because of the strong structure and robust construction that we offer. 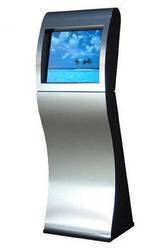 Looking for Fabrication of Kiosk Machines ?